Some 33% of parents said they were waiting one to two years for a place to become available. HUNDREDS OF CHILDREN with Autism are being forced out of schools due to a lack of available resources and place, a new survey claims. 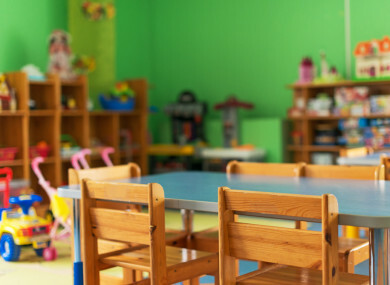 The national autism charity AsIAm carried out research into the availability of school places for children in schools along with the ability of schools to cope with the child’s additional needs. It found that more than 54% of parents reported a lack of school places as the biggest barrier for their child to access education. Some 33% of parents said they were waiting one to two years for a place to become available, while 10% said they were waiting two to three years, and 7% were waiting for more than three years. Furthermore, some 66% of parents said anxiety was a factor in their child not being able to attend school. Children with autism can experience sensory overload and subsequent “meltdowns” which require additional resources, according to the charity. The survey of 300 families also found that 22% of children had been expelled and 34% of parents said they were withdrawn from class due to inadequate support. Adam Harris, CEO of AsIAm, said children with autism are “not treated with the same respect” as their peers and “go unsupported in school”. “There is a significant body of children within our community who do not go to school at all,” he said. “In some instances, these students have simply been failed by the State in terms of inadequate levels of autism or special class provision despite the obligations on the State in the EPSEN Act, 2004.
but literally because they are autistic and go unsupported in school. “They may irregularly or almost never attend school due to overarching anxiety or a lack of suitably trained teachers, but continue to be enrolled as if all was well. AsIAm is calling for greater resources and supports to be provided to children with autism to ensure they can remain in school. infrastructure, better teacher training and an obligation placed on schools to be fully inclusive,” Harris said. There full findings of the survey will be published by the charity tomorrow. Email “Some autistic children 'unable to attend school' due to lack of supports”. Feedback on “Some autistic children 'unable to attend school' due to lack of supports”.